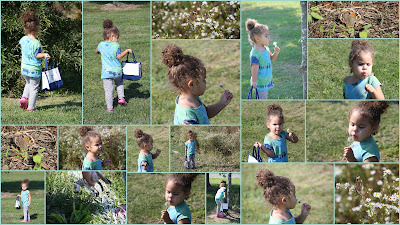 Before one of Elijah's football games, Ella and I went chasing butterflies!! It was so much fun watching her stare at them, asking questions (most of which I did not understand), and running around. One of the many pleasures of being a mom!! If you are wondering, she is carrying around her horses in her "e" bag, her flower girl gift from my sisters wedding last year. She has a white horse (who we call Maximus from Tangled) and a brown horse (Bullseye from Toy Story). They are her buddies and she almost never leaves home without them. I know I have alot to catch up on (football pictures, Saturday afternoon craft updates, house updated and just life) however "life" seems to be getting in the way lately. I really want to get better about this ... and I will! 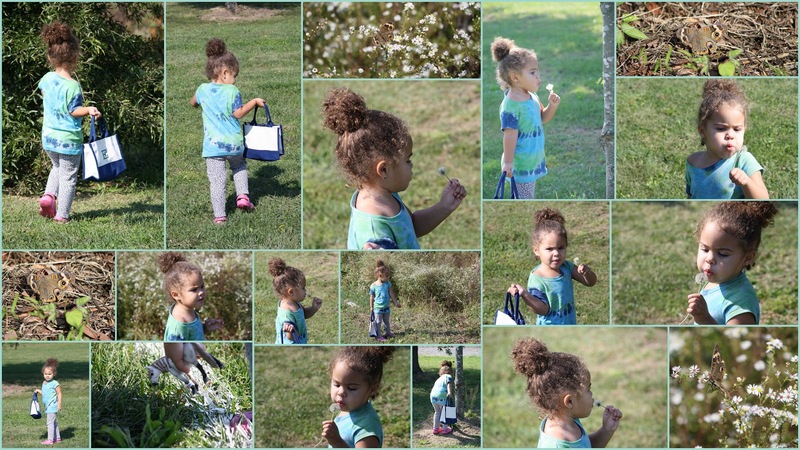 I am a mother to 3 beautiful kids, I work for a fabulous company and I love love love taking photos.